Research from VoiceLabs provides useful insights into the upcoming interface of choice - Voice. It looks at the current state of adoption of voice devices, in particular Amazon Echo and Google Home. Although Siri pioneered the idea of talking (and talking to) computer-driven assistants in 2011 it was only in November 2014 that the first Voice Device, the Amazon Echo, came to market - in a very limited way. As the chart below shows growth in this area is exponential. In the first full year of availability, 2015 1.7 million voice-first devices shipped followed by another 6.5 million devices in 2016, some of which were Google Home, which launched in November 2016. These two devices (Google Home, Amazon Echo) are simply the start of a much bigger future, where hundreds of millions of consumers will enjoy a more natural way of interacting with machines – conversational voice. Using only your voice, you can now seamlessly play music, turn on your lights, order a pizza and get breaking news. While early innovation is about taking phone and mobile app use cases and porting them to voice-first platforms, in 2017 we will see unique voice-first experiences that will take the world by storm. Get ready for always communicable family members, a personalized home assistant that makes life easier, and a conversational device that anticipates your needs. It predicts that in 2017 there will be 24.5 million devices shipped, leading to a total device footprint of 33 million voice-first devices in circulation. This phenomenal explosion appears to be media driven with Amazon's Alexa - the default persona of the Echo device in which it is bundled with a wireless speaker, seeming to have become the most talked up technology currently available. 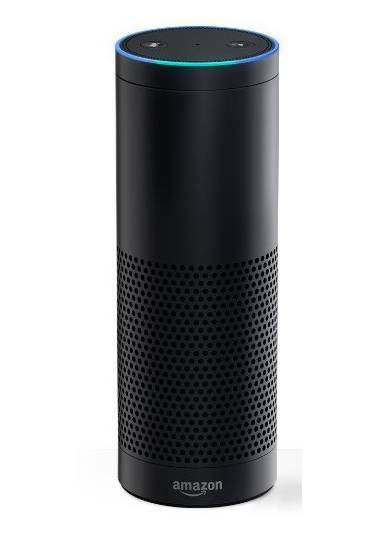 In the UK today BBC Radio 4 ran a news item about yesterday's broadcast report from its technology corespondent Rory Cellan-Jones about the Echo in which he repeatedly used the word "Alexa" interrupting coverage on hundreds of devices that were listening in! Given the popularity of the early morning Today programme, even more Echo's probably paused mid-stream trying to respond to a repeated summons. Google is going to excel at mining the web and providing intelligent responses to general knowledge questions. Amazon is going to excel at commerce. Google and Microsoft should excel at email, contacts and calendar. Microsoft has a huge opportunity to excel at gaming. Google and Amazon are going to battle for hands-free TV and home automation. Apple is betting on AirPods for on-the-go use cases, and should have an Apple TV voice strategy. All players will battle to become the go to controller of the kitchen, living room and bedroom. So farewell to the clock-radio and TV remote, there's going to be a turn down for the thermostat and dimmer switches and we can look forward to asking search questions rather than having to type them. Hopefully this is just the start and not the extent of incorporating AI into our daily lives.